Home > Magazine Deals > Reminder: Get ESPN Magazine Subscription for $4.99 per Year! 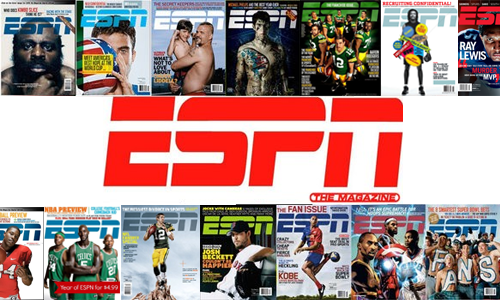 Reminder: Get ESPN Magazine Subscription for $4.99 per Year! Fall = football in our house. I’m actually worse than my husband and am ready and waiting for new polls to come out Sunday afternoons each week… If you have true sports fans, this is a great time to grab a subscription to the ESPN Magazine. It comes out every other week (26 issues per year) and is a fun way to stay up on all the latest news. Getting a subscription also gets you access to all the “insider” content on the ESPN site. This weekend you can get up to two years of ESPN for only $4.99 a year (that’s 75% off news stand). Head over and use code 52899 at checkout to get the discount. You can also give this as a gift or use the deal to renew a current subscription. Grab the deal now through tonight at midnight.